A standout among three of the best Alaska and Yukon gold juniors today. Also, a picnic. 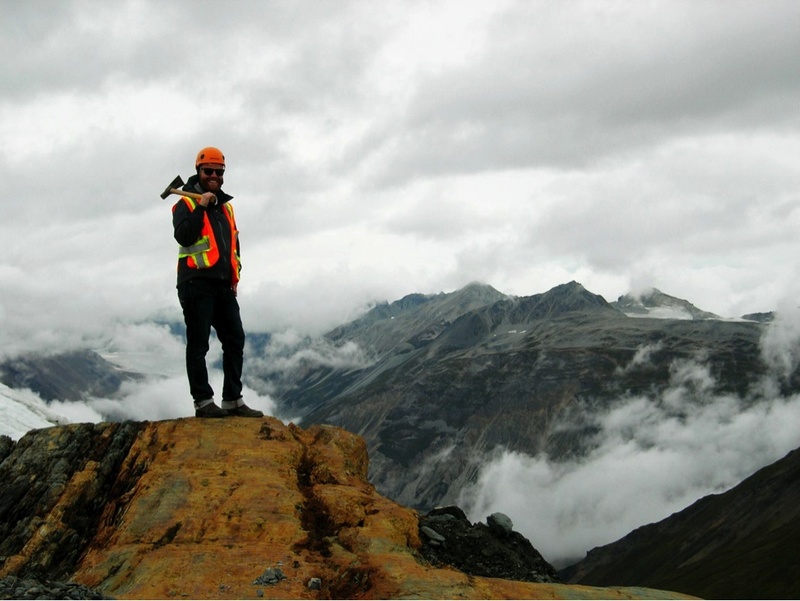 Mining engineer Jamie Keech standing on a precipice overlooking Palmer Project and glacier. 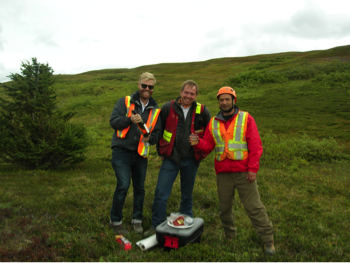 Last month I had the opportunity to attend an analyst’s tour in Alaska and the Yukon on behalf of CEO.ca / Resource Opportunities where we checked out three of the North’s most interesting projects, run by three different companies. Each project offered a unique perspective into what it means to be a Junior in the North, and after the last couple of years of bearish markets and drills standing quiet it was refreshing to see these explorers in full swing. 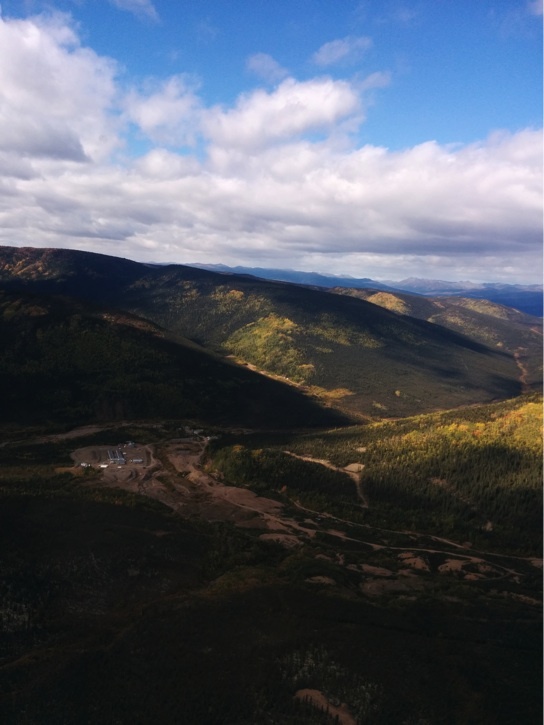 The Klaza Property is a high-grade vein and bulk tonnage project located in the Dawson Range Gold Belt, owned entirely by Rockhaven. Located a short, easy drive from the Klondike highway and a mere 3 hour drive from Whitehorse. The day-to-day exploration program is being run by a young and ambitious geologist named Jared Tarswell who has been on the ground since RK got involved in 2010. With a market cap. of roughly $17 million RK’s major shareholder is Strategic Metals; that is in turn controlled by Archer Cathro MD Doug Eaton. 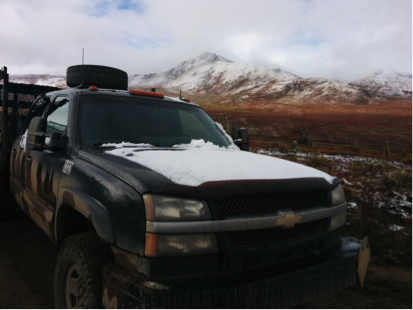 Archer Cathro is a long time Yukon based Exploration Consulting group; and a powerhouse in the region, currently managing Klaza’s exploration program, in addition to a host of other companies. The Klaza Project has two very interesting zones – the Klaza and BRX trends. These are parallel vien zones hosted in a nearly 2km wide north-west trending structural corridor, which is in turn held within granatic country rock. 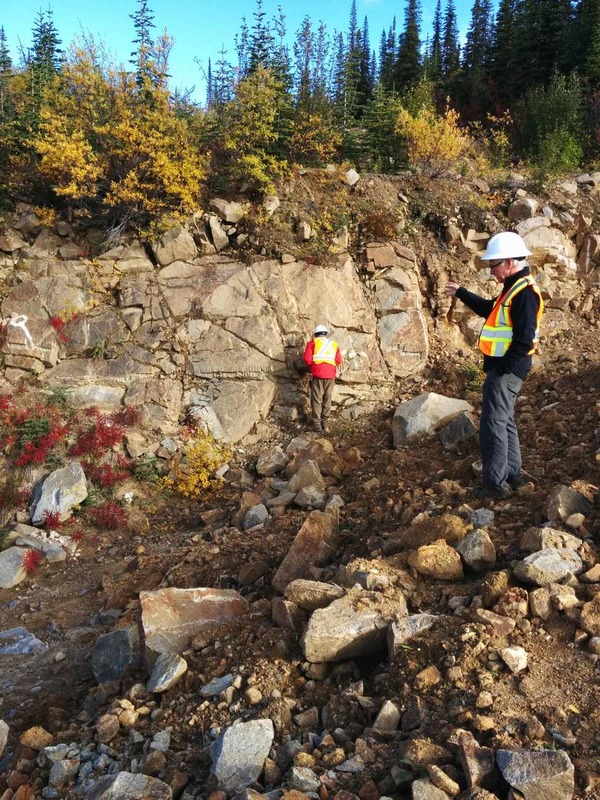 We find the mineralization occurring predominately within quartz sulphide veins, breccias and stockwork. The last two years has seen RK focused on high-grade veins in the north-west of the Klaza and BRX zones. This focus represents a distinct difference from their earlier bulk tonnage model approach that was focused on the stockwork and sheeted vein in the eastern end of the trend. This shift from a bulk tonnage “open pit style” deposit, to a high grade potential underground mine has piqued investors interests. This shift may be attributed to the major breakthrough that came in 2013 when RK largely foregoed drilling and focused on a thorough trenching program (+20,000m). 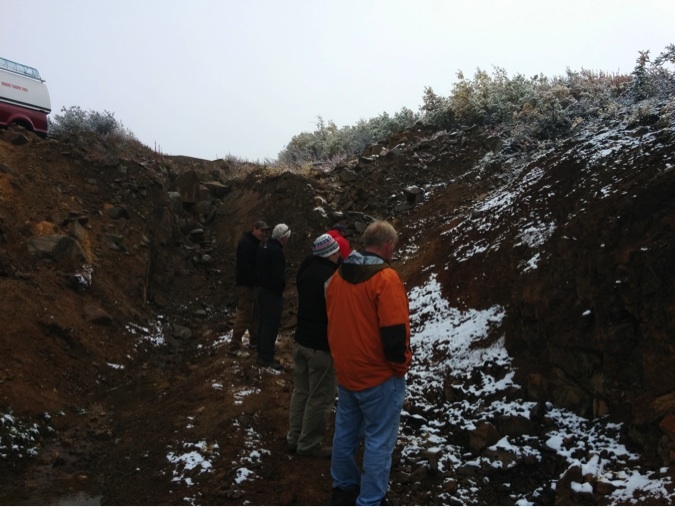 The Project falls in an area relatively devoid of outcrops so trenching, airborne geophysical surveys and soil geochemical analysis is essential to develop a “roadmap” of the geology and establish drill targets. The result of this was RK’s geo’s being pointed to two high grade zones in the NW of the Klaza and BRX trends. 2014 was a big year for RK and saw over 19,000m of diamond drilling in 104 holes. The main focus of this drilling was on the Western BRX and Klaza zones, as established in the 2013 trenching program. 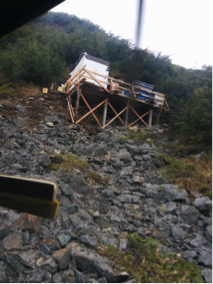 Drilling has consistently turned up high-grade intervals, particularly in the Western BRX with recent results showing gold regularly ranging from 5 g/t to 20 g/t or higher, and silver ranging from 200 g/t up to 600 g/t over 1m to 2m intervals at depths of 50 to 200m. RK’s theory of an economic underground project received some serious validation this week when they released results of 4.58 g/t AuEq over 18m. This was RK’s deepest hole to date in the Western BRX Zone, at a depth of over 500m. This is one of RK’s most continuous intercepts and moves us decisively away from the bulk tonnage model. This is big news for RK and the prize they’ve been working towards for the last two seasons. Now that RK knows they are on the right track they will have to further define the deposit at the Western BRX/Klaza in an upcoming work program (details yet to be released). This is an exciting high-grade project, and in my opinion the geo’s are just starting to get the full picture of what they have and I’m excited to see what next years program will show us. This all leaves RK in a difficult position: do they push for a resource estimate, feed the market, and hope that they have the tonnes to justify another financing? Or do they bide their time, put in another season of drilling and ensure a better chance at an excellent resource in 2016? In this world of bear markets Rockhaven is under pressure to provide information to investors. But if they jump the gun and create a resource estimate before they have adequate source data and have truly figured out the geology they risk producing a lackluster resource that will kill the project before it gets of the ground. It is my opinion that RK needs another season of drilling and works. They’ve had an fruitful season; now they need to gather their data, nail their deposit down and complete an accurate and reliable resource estimate. I believe they’re on to something here and if they take their time they might just have something great to show for it. The Eagle Project is located NE of the historic Keno silver camp and a short drive from Mayo, a Yukon town with all the essentials: A fully functioning airstrip, a liquor store and a Chinese food restaurant. Stepping out of the helicopter the fist thing that struck me was: this is an exploration project being run like a mine. The spotless 100-man camp is thoughtfully designed, with solid buildings and excellent facilities – making the ramp up to production, if/when the time comes, a relatively easy transition. Personal protective equipment and a full safety orientation were provided upon arrival, and well-maintained roads crisscross the property. This all makes sense as Mr. McConnell is a mining engineer hailing from the famous Colorado School of Mines and a former De Beers Canada VP charged with overseeing their NWT projects. A quick review of the facts shows Victoria in an enviable position amongst juniors. VIT is an open pit, valley leach project with 2.3 M oz of gold in reserve (proven and probably) and double that in a resource. The current market cap. is nearly $41M, with an impressive $23M in cash sitting in the bank. With a Feasibility Study completed (Feb. 2012), an Environmental Assessment completed (Feb. 2013), a Construction License granted (Sept. 2013), and a Water License pending (2015) VIT is a project poised for construction. To bring the project through to production VIT will require $430M in construction and working capital. With operating costs at $615/oz. and all-in LOM costs at $959/oz. At $1325 oz/Au the project comes out with at NPV of $381M and a 24% pre-tax IRR, at a 5% discount rate. Additionally Victoria also has a signed letter of intent with Yukon Energy pertaining to a hydroelectric plant currently being constructed in Mayo potentially giving them access to (relatively) inexpensive and reliable power – an unusual feat given the location. The gold is there with 2.3 M oz. of proven and probable gold, and massive potential upside from resources (4.8M oz Indicated). The engineering is there. The mining and heap leaching process have both been thoughtful designed utilizing the shape of the deposit and natural topography. The management team is there. John leads a team of experienced professionals with decades of experience in the North. With $430M required to build the project Victoria has a major (yet acknowledged) hurdle ahead of them if they want to build the project without massive shareholder dilution. Victoria currently has over $23M in the bank and the ability to raise $250M in debt. So where will the remaining $150M come from? The obvious choices are an equity deal, a royalty/streaming agreement, or a Joint Venture. Management is admittedly not keen to complete an equity deal and dilute shareholder value or complete a royalty/streaming deal – leaving a potential JV as the likely best option. As VIT is currently 55% institutionally held – with 16% going to Kinross Gold, 13% Sun Valley Gold, and 26% held with a variety of others; there is some serious potential in going that route. Additionally Victoria has been in discussions with both potential corporate partners (North American, Chinese & Japanese) as well as private equity (Canada, USA & UK). They claim given the quality of the project and the + $20 Million they have siting in the bank they are “under no pressure to complete a costly financing”. But with a share price currently trading at $0.105, I can’t imagine many investors would be keen to jump into a JV at this time. Especially if Victoria intends keeps operational control as they maintain they do. Victoria clearly has a mine on their hands. What’s harder to say is when that mine will be built. For the JV they (and their investors) are looking for they’ll need to get their share price up (significantly). But when the market turns, and the majors are looking to ramp up production Victoria is in the unique position of having a neatly packaged project, run by a grade A team, that is ready to hit the ground running. 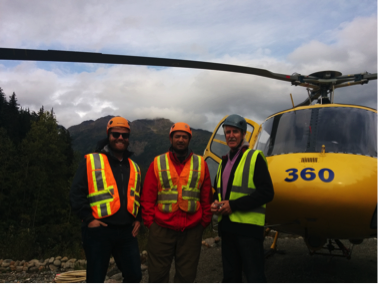 After the excellent visit we piled back into the chopper for the two hour trip back to Whitehorse. Riding home I was struck by the difference in the two project I’d seen – both exciting and full of potential, but at very different stages of the process and under very different constraints. Victoria’s predominately financial whist Rockhaven’s still very much technical. I was however impressed by both teams and the passion they brought to their work. The next morning at 7am we again found ourselves at the Whitehorse airport, and after a brief weather delay Joe, Laurie and myself took off for Haines Alaska; where we were met by Constantine VP Exploration Darwin Green. Haines is a picturesque Alaskan port town, located in the Porcupine Mining District and containing a deep sea port operating year round. 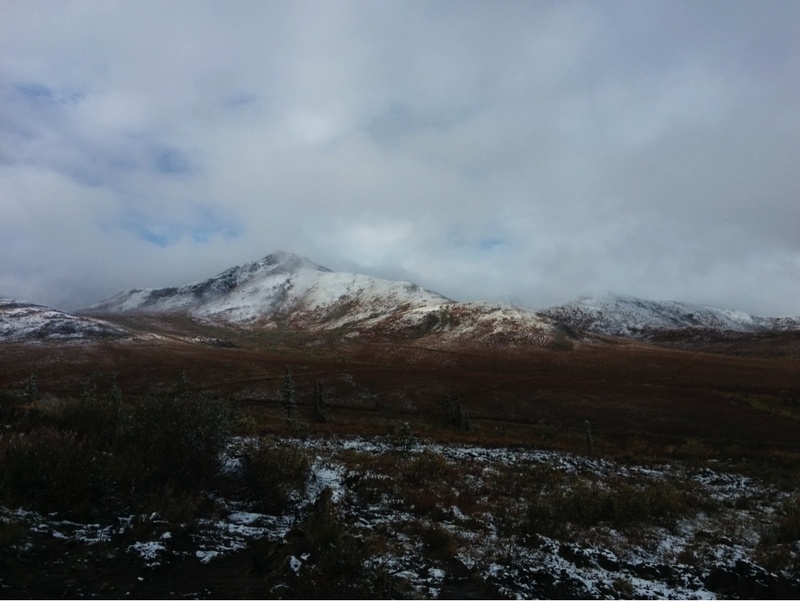 Darwin drove us 45 minutes (55km) from the Haines Airport, along well maintained roads into the Palmer Projects camp. Driving in I had the feeling I was driving into an 1800’s gold rush scene. The camp consisted of well-constructed log cabins featuring sprawling porches and a proudly flying flag. With great food, a well laid out core shack, and an ambitious young team – morale was high and it appeared to be a well operation. The property sits in Alaska, along the BC boarder. 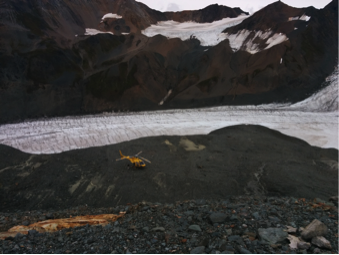 After lunch and a project description from Darwin we dawned climbing helmets, hoped into the Jet Ranger helicopter and took off to see what can only be described as one of the most spectacular exploration properties on the globe. 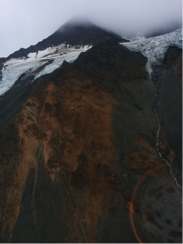 The Palmer Project is a volcanic massive sulphide deposit (VMS) located on the side of a mountain, surrounded by glaciers. 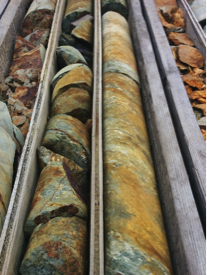 VMS deposits typically produce base metals such as: Zinc, Lead and Copper. 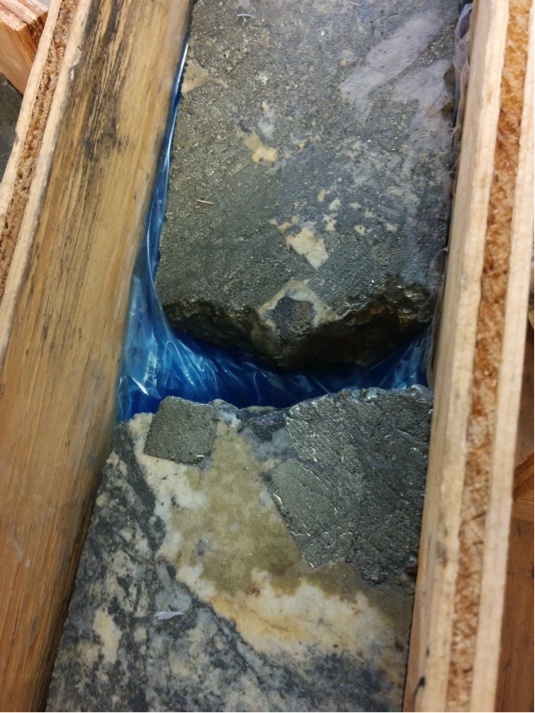 Palmer boasts a 4.75 Mt (inferred) deposit grading at 4.57% Zn, 1.84% CU, 29 g/t AG and 0.28 g/t Au. In February 2013 Constantine reached an agreement with Dowa Metals and Mining Co. Ltd (the nonferrous wing of Japan’s Dowa Group) providing Dowa the ability to earn 49% of the Palmer Project in return for spending US$22M over a four-year period. This puts them in the position of having an excellent source of working capital without having to go back to the market for financing. It also provides a well respected partner, who knows VMS deposits and has a reputation for taking a long term view. Metallurgical test work was completed in November 2013 and the results of this work were encouraging. Results indicated that 84.9% recovery of Zn resulting in 59.1% in concentrate, and a 89.6% recovery of Cu resulting in 25.5% in concentrate. Gold and silver were recovered at 61.4% and 73.7% respectively. This year has seen Constantine drill more then 10,000m on a $6.2M budget, with the aim of expanding its South Wall and RW zones, and this is no easy drilling. Drill rigs are perched on the sides of massive cliffs and have been installed by local mountain guides. In addition to this Constantine has worked on a 4km supply road and completed geotechnical and environmental studies. Prior to this season Constantine had completed over 7,700m of drilling since they released their resource estimate in early 2010. 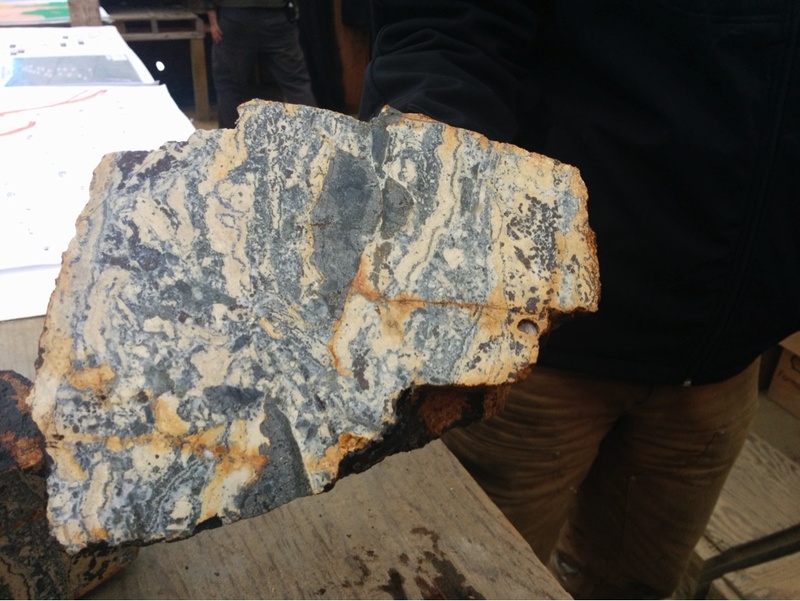 This, in addition to the 10,000m drilled this year, will provide Constantine with the data to provide a significant update to their resource estimate and geological model. To package the project up as a minable asset they will need to significantly increase their tonnage, getting the resource to 15 Mt would almost certainly make this a mine. My hope are the results from this seasons drilling, expected early 2015, will get them their. That evening I had the chance to dine with several prominent Yukon politicians and business people. We talked mining, politics and the North. To a man (and women), every political and business figure at the table was supportive of the mining industry, supportive of development and very much in tune with the local issues and the needs of Aboriginal communities. Their aim is to promote the Yukon as a world-class mining region; attractive to investors, miners and developers – and by all accounts they are succeeding. All told it had been an exciting couple of days in an amazing and vast part of the world. What had really been impressed upon me was the diversity of the projects and the teams that are running them. Rockhaven is a project to watch, but at this point they could either sink or swim. If management plays the long game they could have serious deposit on their hands. Their recent drill results lend serious credibility to the project and even more so to the teams foresight and knowledge of the geology. If they bend to pressure from the market they risk showing their hand too soon and releasing a resource estimation without the source data or the geological knowledge to fully back it up. That being said I was impressed by Matt and Jared and will be watching to see how they proceed in the future. Victoria is a winner… eventually. As Mr. McConnell noted they have the capital to wait until the right deal comes along – but in this market we don’t know if that will be months or years. I’ll be keeping an eye on Victoria and if they find themselves in the same position when the markets turn around they could prove a serious winner for investors in at the right time. I was most impressed by Constantine. They’ve got an excellent project, an experienced team who knows what they have and what they’re doing. Additionally, their financial partnership with Dowa gives them a major advantage. With a successful season of drilling behind them and an updated resource estimate on the way I think we’ll seeing big things form the Palmer project in the future. If they find the tonnes they’ve been searching for, and I suspect they will, early investors will have a winner on their hands. Special thanks to all three companies for putting me up and showing me around; cheers! Author’s bio: Jamie Keech is a Toronto-based mining engineer and environmental consultant. His interests lie in mining policy, governance, and issues pertaining to corporate social responsibility, economic development, and sustainability in the resource sector. Jamie has a bachelor’s of mineral engineering from the University of Toronto and a Master’s of Science from the Camborne School of Mines, UK. He has been involved with a wide range of projects and his work has taken him to: Mexico, the United States, Albania, Hong Kong, Mongolia, and the Canadian Arctic. He has been a contributor to CEO.ca since 2012. Author holds no positions in any of the securities mentioned. This is for information purposes and is not intended to be individualized or professional advice of any kind. May contain errors. Always do your own due diligence. Thank you.